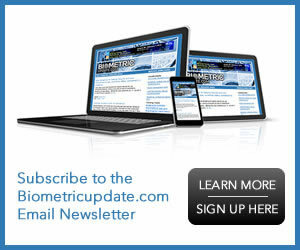 As the biometrics industry continues to grow, Biometric Update is bringing a new focus to the companies and news around the stocks in the sector. Watch this space for a rundown of the financial news and historical EOD stock quote data of the publicly traded biometrics and identity-related companies we are following. Contact us to suggest others. Market data is provided “as is” and solely for informational purposes, not for trading purposes or advice, and may be delayed. Those seeking direct investment advice should consult a qualified, registered, investment professional. Any content in this section is not a direct or implied solicitation to buy or sell securities. Readers are advised to conduct their own due diligence prior to considering buying or selling any stock.